What is standard Lasik & what is custom Lasik? Which is better for me & why? I am often asked this question by my patients. This is the conventional type of Lasik Laser where only the refractive error (myopia, astigmatism or hypermetropia) is taken into account in the Laser protocol and corrected. This type of Lasik treatment does not correct aberrations (finer optical defects in the eye) and may actually increase them. In this Lasik treatment in addition to refractive error, finer optical aberrations are also taken into account. The Laser ablation protocol attempts to correct the aberrations as well. The information about the aberrations in the eye is provided by an instrument called aberrometer which forms an additional link in the treatment chain. Which is better & why? High levels of aberrations in the eye adversely affect contrast and night / low light vision. So if aberration level is high (RMSh > 0.25) then certainly Custom Lasik is better as it provide better quality of vision, better contrast and better night vision by correction of aberrations along with the refractive errors. 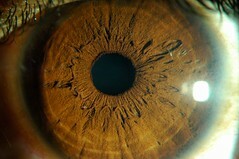 If the aberration level is low (RMSh < 0.25) then Custom Lasik is not really required and standard Lasik works as well. Vision is the most important of five senses - our main information input device !